Plot: James George Hacker wins the election in his constituency Birmingham East and is whispered to become a Minister in the new government. The day after the election he sits nervously by the phone waiting for the Prime Minister to give him a call, but every time the phone rings it is someone else. Then finally he gets the call he has been waiting for: the Prime Minister wants him to become Minister at the Department for Administrative Affairs. After his appointment he heads of for his new Department where he meets his Principal Private Secretary Bernard Woolley and his Permanent Secretary Sir Humphrey Appleby. Jim Hacker immediately wants to get started with fulfilling his Party's promise of open government. Although he expected a lot of resistance from the Civil Service, Sir Humphrey has already prepared a white paper on the reform of the Civil Service, and proposes to call the paper Open Government. Jim Hacker is impressed! He demands that his political advisor Frank Weisel will get an office near his, and that Frank will get all the paperwork that he gets. 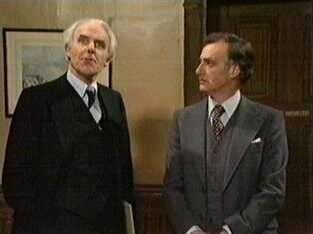 The next week Sir Humphrey has a meeting with Sir Arnold Robinson (the Cabinet Secretary) at a club for senior civil servants. There he learns that the PM is anxious to close a defense trade agreement with the United States, and that nothing should be done to rock the Anglo-American boat. Sir Humphrey immediately phones one of his employees to put an invoice for American computer equipment in one of the red boxes. When Frank Weisel and Jim Hacker find this invoice they are outraged that the order was not placed with a British manufacturer. They want this order to be canceled, but Sir Humphrey points out this is beyond their power. Under the open government principle Jim Hacker therefore wants to publish this order and make a speech blaming the previous government and the criminal nature of American salesmen. Sir Humphrey makes sure this speech is circulated to all relevant departments and is released to the press. Then all hell breaks loose at the PM's office when they see Jim Hacker's speech. He is summoned to come to the PM's office, where he get a talking-to by the Chief Whip. 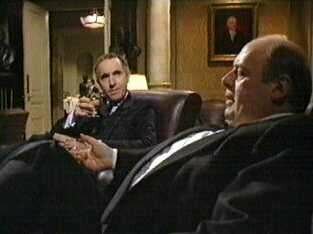 Sir Arnold is appalled by his indiscretion and asks Sir Humphrey what he was thinking of. Sir Humphrey claims he and his Minister believe in open government, but Sir Arnold observes that this is the closed season for open government. To save his position Jim Hacker asks whether there is no way to hush the whole thing up. Bernard Woolley rushes in and tells the Minister that the speech has not been released to the press because it was not cleared. Sir Humphrey explains that clearance was a procedure that dated from before the era of open government, and he "begs" his Minister to forgive him. Jim Hacker is very willing to forgive this since everyone makes mistakes. His position as Minister is saved. 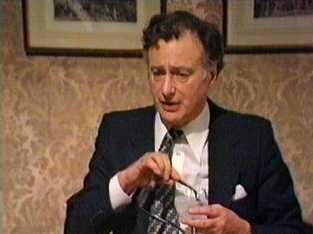 Bernard Woolley: "Minister, allow me to present Sir Humphrey Appleby, Permanent Under Secretary of State and head of the DAA." Jim Hacker: "Hello, Sir Humphrey." Sir Humphrey: "Hello and welcome." Bernard Woolley: "I believe you know each other." Sir Humphrey: "Yes, we did cross swords when the Minister gave me a grilling over the estimates in the Public Accounts Committee." Jim Hacker: "I wouldn't say that." Sir Humphrey: "You came up with all of the questions I hoped nobody would ask." Jim Hacker: "Well, opposition is about asking awkward questions." Sir Humphrey: "And government is about not answering them." Jim Hacker: "Well, you answered all mine anyway." Sir Humphrey: "I'm glad you thought so, Minister." Jim Hacker: "Who else is in this department?" Sir Humphrey: "Well briefly, Sir, I am the Permanent Under Secretary of State, known as the Permanent Secretary. Woolley here is your Principal Private Secretary, I too have a Principal Private Secretary and he is the Principal Private Secretary to the Permanent Secretary. Directly responsible to me are 10 Deputy Secretaries, 87 Under Secretaries and 219 Assistant Secretaries. Directly responsible to the Principal Private Secretary are plain Private Secretaries, and the Prime Minister will be appointing 2 Parliamentary Under Secretaries and you will be appointing your own Parliamentary Private Secretary." Jim Hacker: "Do they all type?" Frank Weisel: "Did you know that Martin has got the Foreign Office, Jack has got Health, and Fred has got Energy." Annie Hacker: "Has anyone got brains?" Jim Hacker: "You mean Education?" Annie Hacker: "No, I know what I mean." Jim Hacker: "Well, what's left? I mean, what have I got? Bernard Woolley: "It used to be said there were two kinds of chairs to go with two kinds of Ministers: one sort that folds up instantly, the other sort goes round and round in circles." 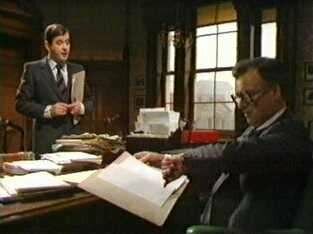 Bernard Woolley: "Well, yes, Sir...I mean, it [open government] is the Minister's policy after all." Sir Arnold: "My dear boy, it is a contradiction in terms: you can be open or you can have government." Plot: Sir Humphrey presents his Minister Jim Hacker a document regarding the upcoming State visit of the President of Buranda. The DAA needs to solve some administrative problems in the light of this visit, since the Queen will be in Scotland at that time so arrangements must be made for her to travel to London. The visit is going to be highly important because Buranda will become an oil-rich country in the near future and will need oil rig equipment, preferably bought from Britain. Jim Hacker has a brilliant plan to solve this problem; the Queen will not have to travel if the visit is held in Scotland. And another important reason for him is that there are three Scottish by-elections coming up, all in marginal constituencies, which can be held straight after the visit. Sir Humphrey is not pleased about this plan which he views as a vote-grubbing exercise. Also when the visit is going to be held in Scotland, Sir Humphrey wouldn't be able to attend (probably only the Permanent Secretary of the Scottish Office will be invited). Jim Hacker however is persistent and has no problem persuading this Cabinet colleagues. Sir Frederick (Permanent Secretary of the Foreign Office) however informs Sir Humphrey that the visit probably will never happen because of a rumored communist coup d'état in Buranda. The next night Jim Hacker learns from the BBC news that this coup d'état has actually taken place, and that the new President Selim Mohammed has taken office. Jim Hacker confers with the Foreign Secretary and they decide to reissue the invitation for the visit to the new President. Sir Humphrey is appalled by this since they have no information about the intentions and plans of this new President. He strongly advises his Minister to cancel the visit but Jim Hacker is determined (because of three Scottish by-elections that depend on this visit). The next week the new President of Buranda arrives in Great Britain. Jim Hacker immediately recognizes this new President as Charlie Umtali, a former fellow student at the London School of Economics. While traveling to Scotland, Jim Hacker gets an advanced copy of the speech Charlie is planning to deliver the next day in the presence of the Queen. In that speech he urges the Scots and Irish to fight against English oppression. 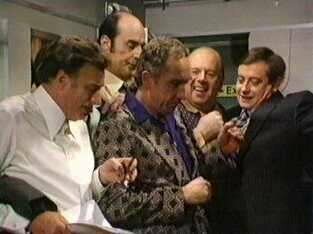 In a meeting with Sir Humphrey, Sir Frederick, the Foreign Secretary and Bill Pritchard (the Press Officer) they conclude that this advanced copy of the speech was sent as a bargaining point. Everyone agrees that his old friend Jim Hacker must go and talk with Charlie to see how he might be persuaded to change the speech. When Jim Hacker and Sir Humphrey visit Charlie Umtali the next morning, it turns out that the only way to persuade him to make the appropriate changes is if Britain will lend him 50 million pounds interest free with repayment not to start for 10 years. He will use this loan to buy oil rig equipment in Britain. Sir Humphrey is aghast and views it as blackmail. Jim Hacker however is pleased by this offer that will also provide for more jobs. And Jim Hacker carefully reminds Sir Humphrey that not solving this problem will hurt Sir Humphrey's chances of upcoming honours. Then finally they all agree that this deal is in everyone's interest and Jim Hacker remarks that everyone has his price (or prize?). Jim Hacker: "Burandan Airways, they are doing well. How many planes have they got?" 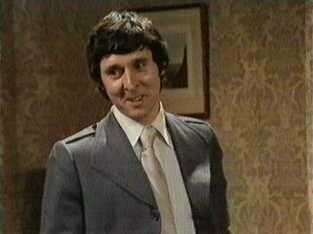 Jim Hacker: "Use your eyes, Humphrey, what about that one?" Sir Humphrey: "That one was chartered from Freddie Laker last week and repainted specially. Actually there is one 747 that belonged to nine different African airlines in one month. They called it the mumbo-jumbo." Sir Humphrey: "Well, Minister, in practical terms we have the usual six options: One, do nothing. Two, issue a statement deploring the speech. Three, lodge an official protest. Four, cut of aid. Five, break off diplomatic relations. And six, declare war." Jim Hacker: "Which should be it?" Sir Humphrey: "Well, if we do nothing we implicitly agree with the speech. Two, if we issue a statement we'll just look foolish. Three, if we lodge a protest it'll be ignored. Four, we can't cut of aid because we don't give them any. Five, if we break off diplomatic relations we can't negotiate the oil rig contracts. And six, if we declare war it might just look as though we were over-reacting." Jim Hacker: "Martin, what's all this about Buranda?" 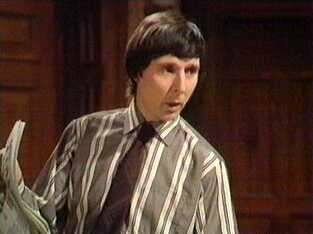 Martin (Foreign Secretary): "What's all what?" Jim Hacker: "There's been a coup d'état." Martin: "How do you know?" Jim Hacker: "Well, it was on the news. Didn't you see? Don't you know? You're Foreign Secretary, for God's sake." Martin: "Yes, but my TV set is on the blink." Jim Hacker: "Your TV set? Don't you get Foreign Office telegrams?" Martin: "Oh, they always come in later. I get all the Foreign news from TV." Jim Hacker: "What am I going to do with all this correspondence?" Bernard Woolley: "You do realize you don't actually have to, Minister." Bernard Woolley: "Not if you don't want to, we can draft an official reply." Jim Hacker: "What's an official reply?" Bernard Woolley: "It just says The Minister has asked me to thank you for your letter and we say something like The matter is under consideration, or even if we feel so inclined under active consideration." Jim Hacker: "What's the difference?" Bernard Woolley: "Well, under consideration means we've lost the file, under active consideration means we're trying to find it." 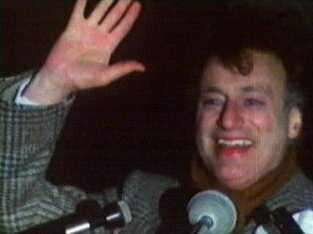 Jim Hacker: "Bernard, this government is here to govern, not merely preside like our predecessors did. When a country is going downhill, it is time for someone to get into the driving seat, and put his foot on the accelerator." Bernard Woolley: "I think you mean the brake." Plot: Jim Hacker is being accused of letting the waste of government money continue within the Civil Service. Sir Humphrey tells him there is no way to slim down the Civil Service because of the continuous stream of new laws by the House of Parliament. Jim Hacker then sends out his political advisor Frank Weisel to search for examples of government waste. Sir Humphrey is dedicated to stop any spending cuts and plans for Operation Hairshirt, an operation that will cause Hacker to feel the effect of spending cuts personally. When Frank Weisel returns from his research trip and reports his findings, Sir Humphrey presents a rational explanation for every example of waste within the DAA. He then proposes to cut on luxury expenditures, starting with the chauffeur driven car and private office of Jim Hacker. Although hesitant at first, Jim Hacker enthusiastically embraces the idea as soon as he realizes the press coverage it would generate. Soon however the unpleasantness of these spending cuts comes home to Jim Hacker as his agenda becomes chaotic, the Civil Service Transport Union goes on strike and he is photographed lying in the gutter. On top of that an article in the Times reports that he has hired an additional 400 people for a time-and-motion study at the DAA. Now Sir Humphrey comes to his "rescue" by suggesting to axe these vacancies, as well as the vacancies at the Bureaucratic Watchdog Office. As a real spending cut he presents Jim Hacker a plan to reduce the number of tea ladies. Sir Humphrey: "British Leyland measure their success by the size of their profits, or to be more accurate, they measure their failure by the size of their losses." Sir Humphrey: "Politicians like to panic, they need activity. It's their substitute for achievement." Sir Humphrey: "Ladysmith House is top secret." Jim Hacker: "How can a seven storey building in Walthamstow be top secret?" Sir Humphrey: "Where theres a will, theres a way." Frank Weisel: "Perhaps the government thinks that a tax is the best form of defense." Sir Humphrey: "The public doesnt know anything about wasting government money, we're the experts."